Kevin Drum's piece "Blogging Isn't Dead. But Old-School Blogging Is Definitely Dying" is not without some truth, but overlooks key things. Most importantly, that when old-school blogging was in its full flower, text was the only easy way to share yourself online. Now it's almost as easy to create and distribute art or audio or video or combinations of those as it was to submit a long post in the Blogger submission page. We have a great diversity of expression happening, particularly in video. Beyond which now, with a good computing device in everyone's pocket, it's no longer necessary to save everything up into one chunk you laboriously craft over a long evening at home. The conversation truly can be dialogue, with reactions and riffs taking place within minutes or even seconds. Yes, Twitter and other easy technologies for portable sharing of ideas and images are sometimes knee-jerk, but heaven knows so have the comments under blog posts always been. Nor has >140 characters ever been an unusual length. One of the strengths of new-school sharing is that it allows conversations to easily extend and expand not only over a growing audience but also over time. Yes, we had follow-up posts back then—and that inter-blog dialogue was always a joy—but it was hard to find and even harder to maintain momentum. Now, between Twitter and, to my mind the best combination of the old and the new, Medium, it's possible to more easily find the pieces of reaction which wander around the web, rebounding from and influencing each other. I started blogging before the word was coined and have never stopped, but—like many—my means of output have expanded as opportunity grew. Wordy posts pour out of us when words are all we have, but we have so much more we can do now, and more ways to use our words. Since Flickr and Twitter and Medium and the opportunity to take my long-form work into finished books through self-publishing, I write fewer blog posts, but I am even more creative and connected through the web than I was back in the day. Old-school blogging isn't dead, it's growing up, and growing up beautifully into something new. It fluctuates a lot—do not base your self esteem on this number—but it's clear that having two books out helps a lot. It'll be very interesting to see what happens when I add a third to the mix, which I hope to do next year. I suspect that the few dramatic drops in 2014 (one of which was on my birthday, which I find rather uncivil) relate not so much to my books' performance, but rather to dramatically good performance of one or more other books in their category. That July downturn correlates well to a lot of social media chatter, for instance, about Jeffrey Morgenthaler's Bar Book, and I'm guessing many purchases of that excellent tome. Nominated for a Spirited Award! Excited & honored to have The Art of the Shim nominated for Tales of the Cocktail's Spirited Awards! Thank you! Posted on May 24, 2014 Categories Bibulo.us, writingLeave a comment on Nominated for a Spirited Award! Incredibly proud to be on this list! "At the beginning of 2012 we published a list of the top 20 cocktail books ever published. After two more years of reviewing books we think there are another ten books which deserve to be added to this list. These 'must-haves' will not only teach you the art of bartending but give you recipes to be inspired by and new movements that we think will drive forward the craft. We also welcome our first female authors to this list. They're listed in alphabetical order." 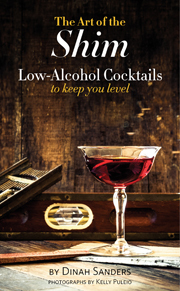 Diffords Guide: "Update: 30 cocktail books you need on your shelves"
Posted on December 13, 2013 Categories Bibulo.us, Books, writingLeave a comment on Incredibly proud to be on this list!